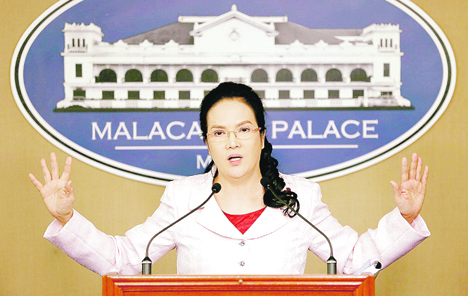 Public Attorney’s Office (PAO) chief Persida Acosta on Sunday defended herself against criticism that her statements on the discredited Dengvaxia vaccine had scared parents away from having their children immunized against measles, leading to an outbreak of the disease. Who’s to blame? PAO chief Persida Acosta cites a COA study that shows there was under-distribution or under-supply of measles vaccines from 2014 to 2017 during the watch of then-President Benigno Aquino III. In an interview on radio dzBB, Acosta said a Commission on Audit (COA) report showed that measles vaccines were under-distributed from 2014 to 2017, probably because of an under-supply. She also said that if the P3.5 billion spent on purchasing Dengvaxia were used to buy “proven vaccines,” under-distribution would not have been a problem. “It’s the fault of the Department of Health that there was an under-distribution of proven vaccines because they concentrated on Dengvaxia,” she said in Filipino. Acosta also rejected a call by opposition Senator Risa Hontiveros that she resign for contributing to the erosion of public trust in the government’s vaccination program. “She shouldn’t crucify me because it wasn’t my responsibility to distribute vaccines in 2014, 2015, 2016 and 2017,” she said. Meanwhile, party-list Rep. Bernadette Herrera-Dy said airport and civil aviation authorities nationwide must place all airports under the appropriate alert status to detect and contain the spread of measles, after a confirmed case of an infected child returning home to Australia. These protocols would keep measles from spreading to other parts of the country and the rest of the world, she said. The Department of Health in Calabarzon directed all provincial and city health offices to conduct a mass immunization against measles and polio for all children, with priority given to those six months to 59 months old. Due to the continuously increasing number of measles-rubella cases, Regional Director Eduardo Janairo said there was a need to immunize all children regardless of whether they had already received the vaccine. “We will include children ages 5 years old and above to ensure that everyone will be protected and [to] prevent the spread of measles to the population,” he said. The Regional Epidemiology and Surveillance Unit reported that there were 560 measles-rubella cases with 14 confirmed deaths from Jan. 1, 2019 to Feb. 2, 2019. This was 409 percent higher than in the same period last year. Janairo said the mass immunization activity will include house-to-house visits, reading of advisories during church services, distribution of materials on measles vaccination and setting up of injection posts in churches, bus stations, food chains, schools and other public areas. “Measles is a highly contagious virus and easily spread to others through coughing and sneezing. Persons infected with measles can spread it to others from four days before through four days after the rash appears. The virus can live in the air for two hours”, he said. Measles appears around seven to 14 days after exposure to a person infected with the virus. Among its symptoms are fever, dry cough, runny nose, red watery eyes (conjunctivitis), tiny white spots inside the mouth and skin rashes. “There is no cure for measles but it can be prevented through proper immunization of children aged 6 months to 59 months old,” Janairo said. “A person can receive the vaccine more than twice after 28 days or after a month after receiving it,” he added. The DOH official called on parents to have their children vaccinated against measles. It is their only protection against the virus and it is clinically safe and proven effective for many years, he said. In Calabarzon, the province with the highest number of measles cases is Rizal with 226; followed by Laguna with 115; Batangas with 114; Cavite with 87; and Quezon with 18 cases.